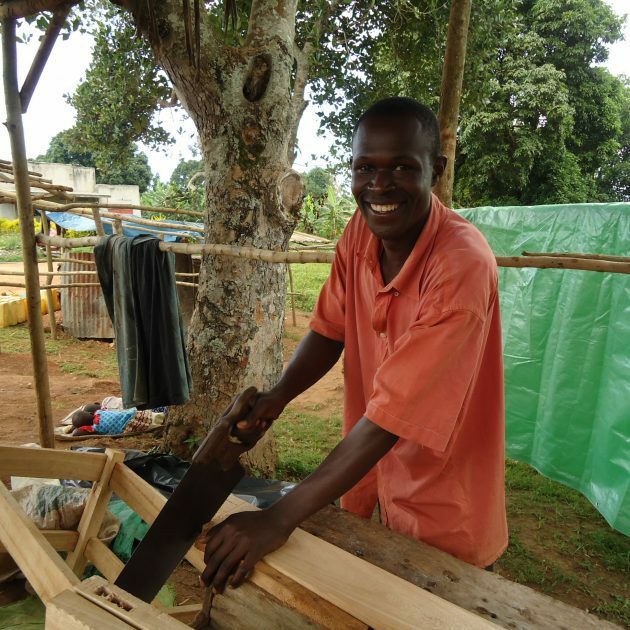 Lubega is one of a family of four children, and is currently the only one who is working – so his income is very important. 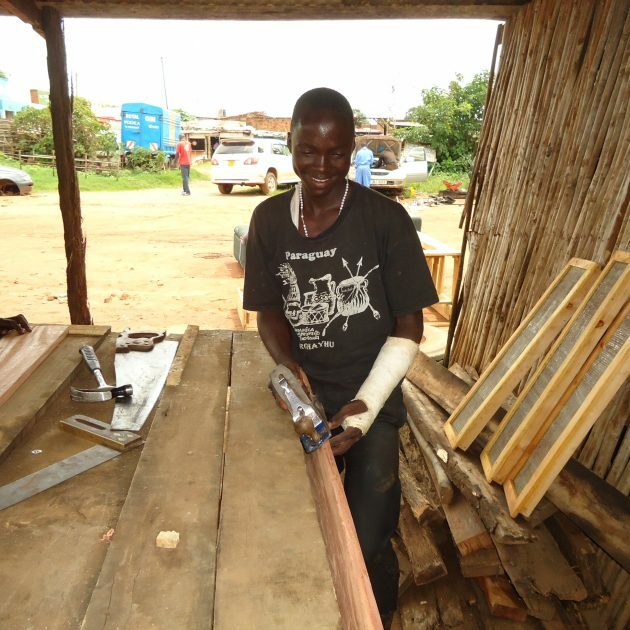 He did not have the required level of education to enter a course at the government training centre, so he signed up for a course with Tools for Self Reliance and a local organisation, Hope For The Upcoming Generation (HUPGEN). 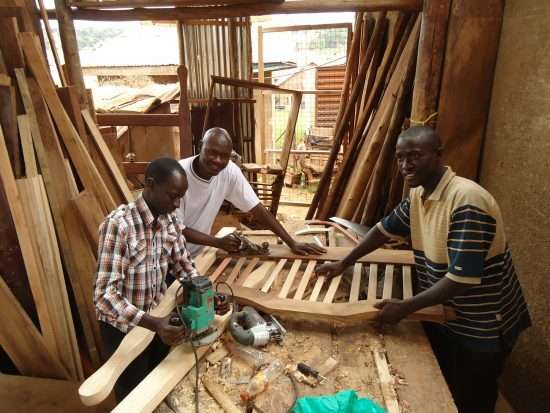 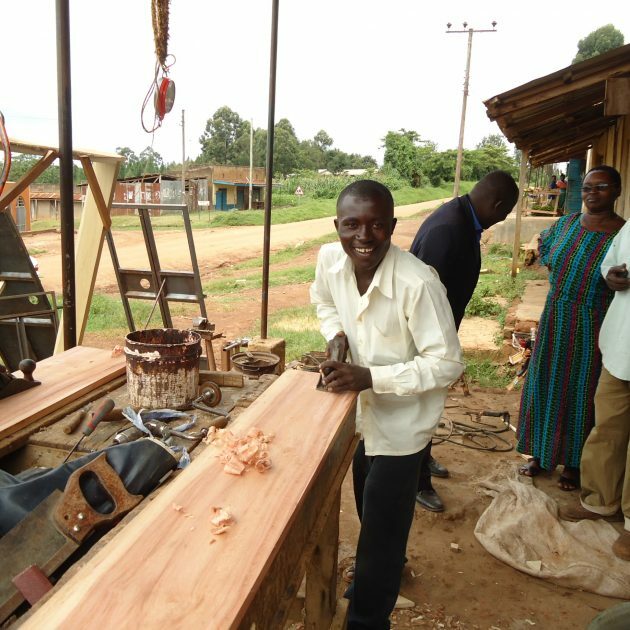 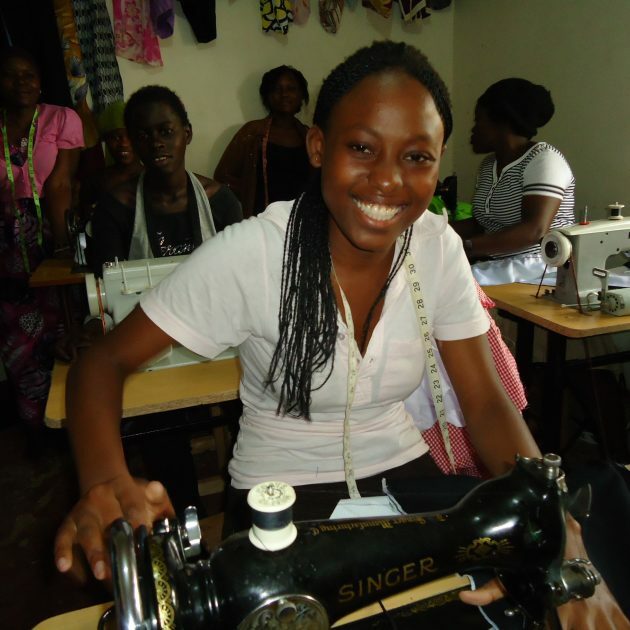 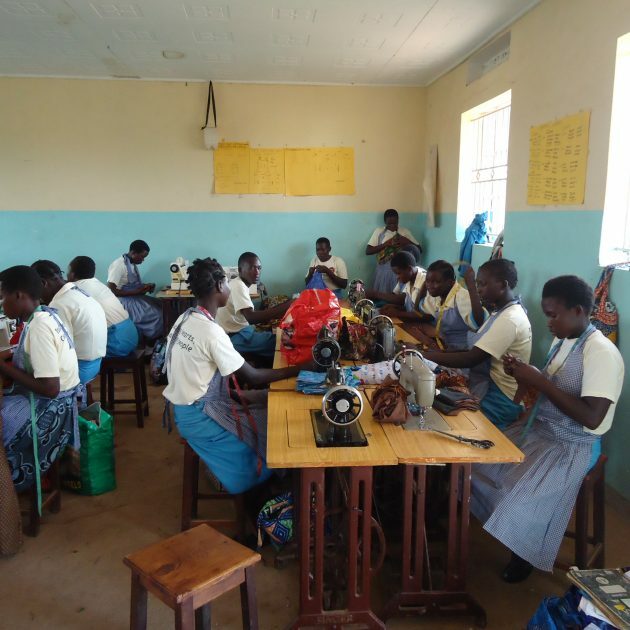 Lubega learned carpentry, and quickly became adept at making a large variety of furniture, as well as doors and window frames.